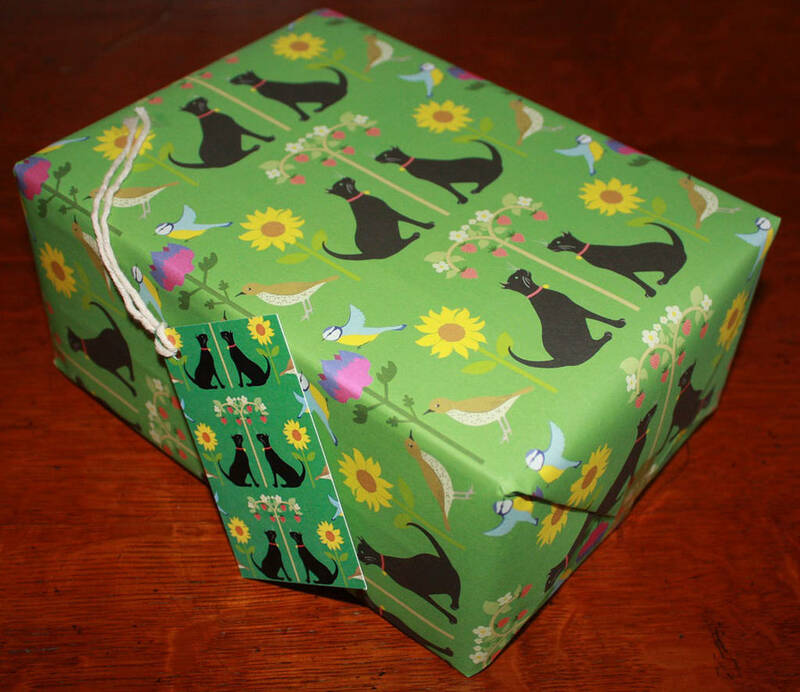 Lovely cat wrapping paper designs, purrfect for wrapping up any cat fans gift. 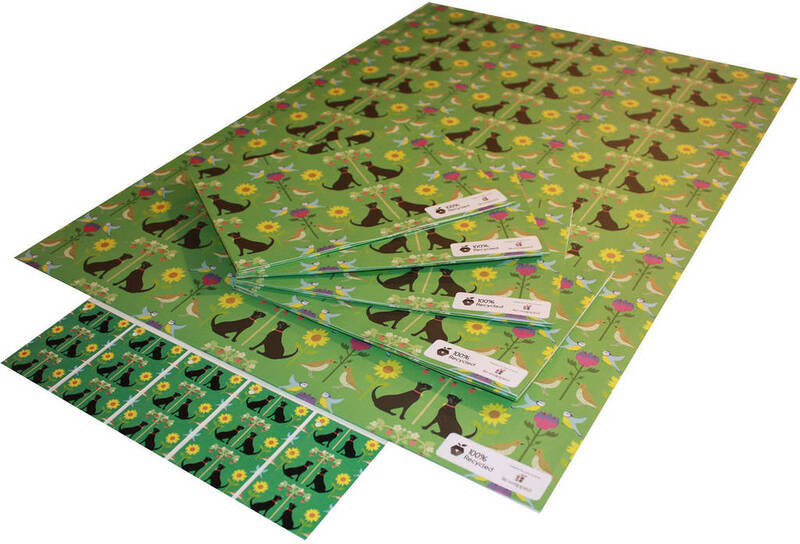 Adorable cat patterns, lovingly turned into sheets of recycled wrapping paper complete with gift tags. 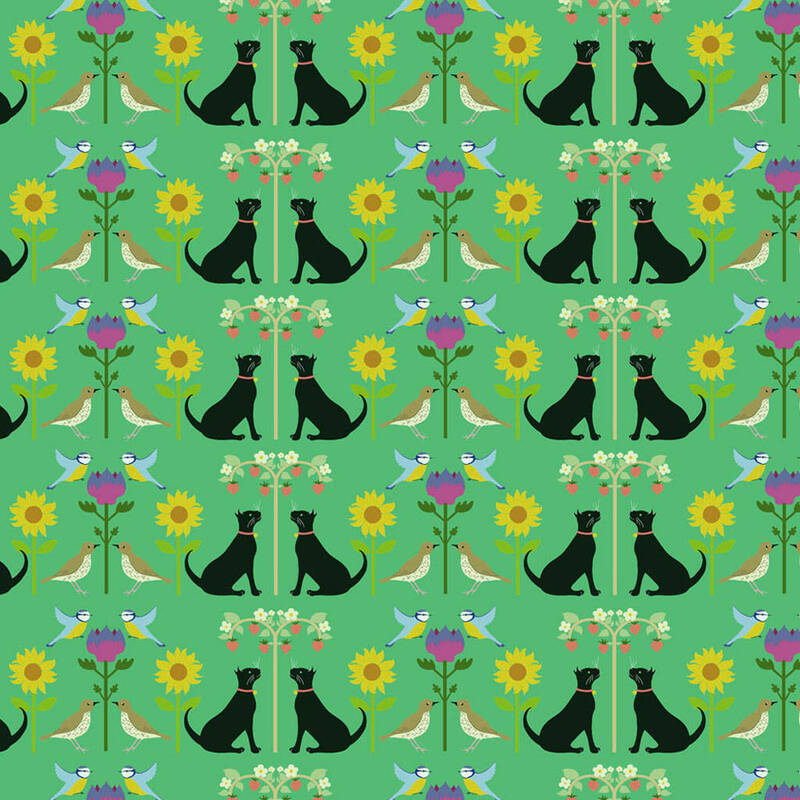 The elegant little black cat design is inspired by garden flowers and birds (and cats!) 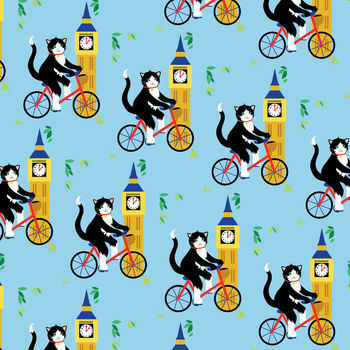 as well as William Morriss, whilst the cute cat on a bike design is great for wrapping up childrens presents. 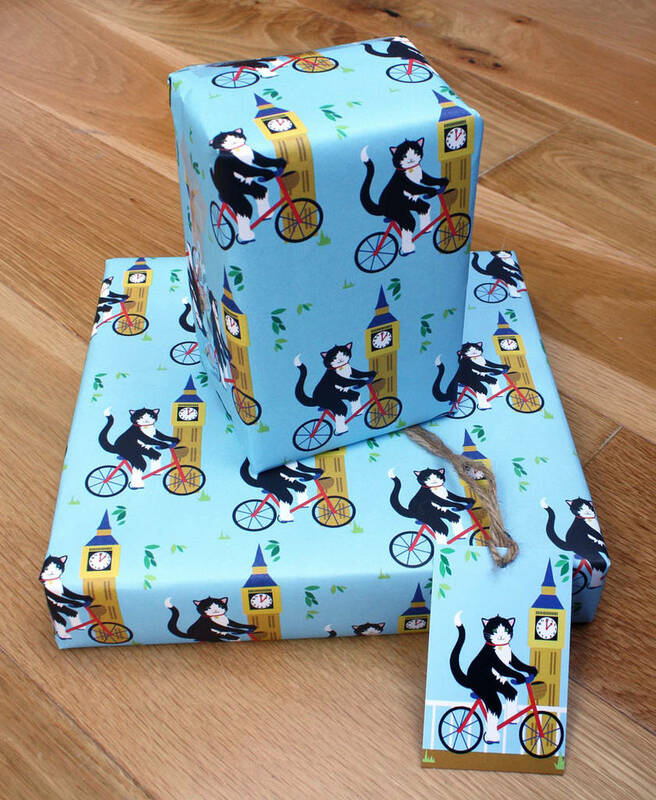 All my gift wraps and tags are designed by me and printed and published by Rewrapped who specialise in design led, eco friendly paper products. Each Set includes 1 sheet of wrapping paper and 2 Gift Tags. 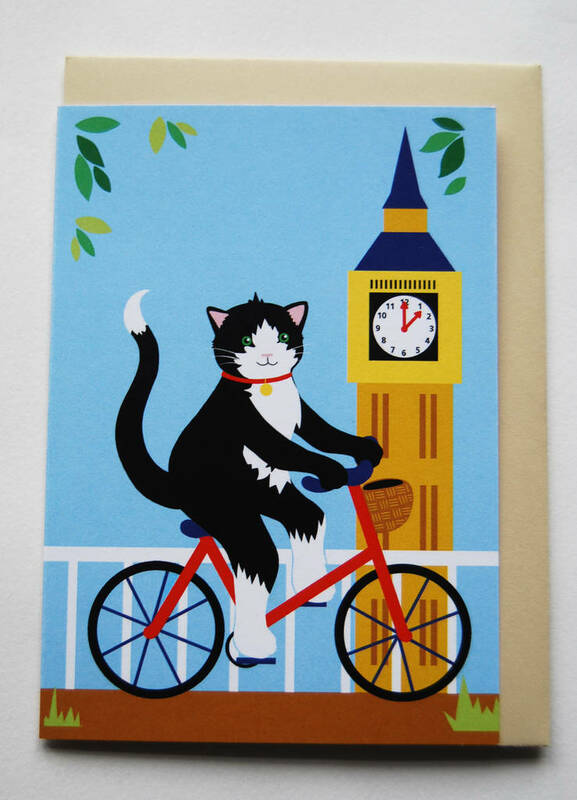 You can also purchase a matching greeting card to go with your set for £1.75. 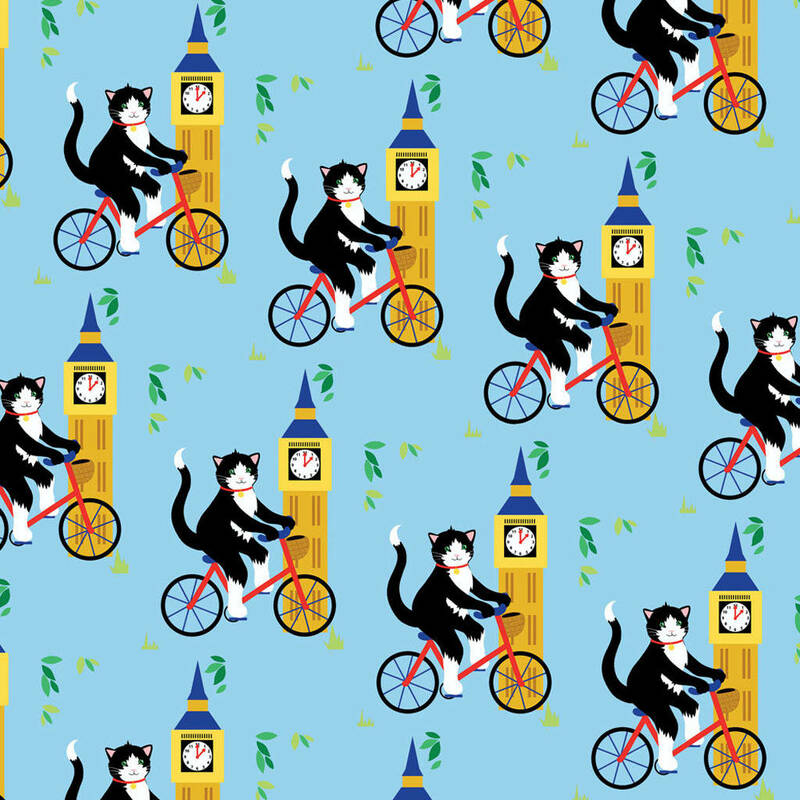 Choose from black cat with flowers or a cute cat on a bike designs. Printed onto paper and card made entirely from post consumer waste and pulp that has not been bleached using environmentally friendly vegetable-based inks. 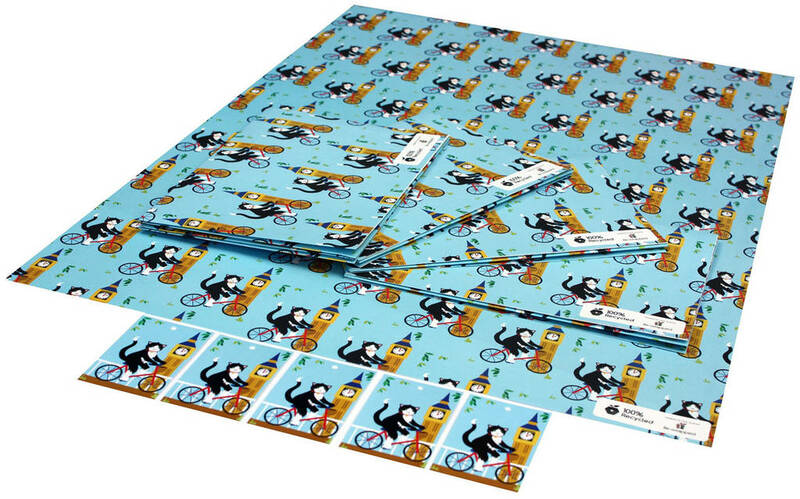 Each sheet of wrapping paper measures 50cm x 70cm 100gsm.